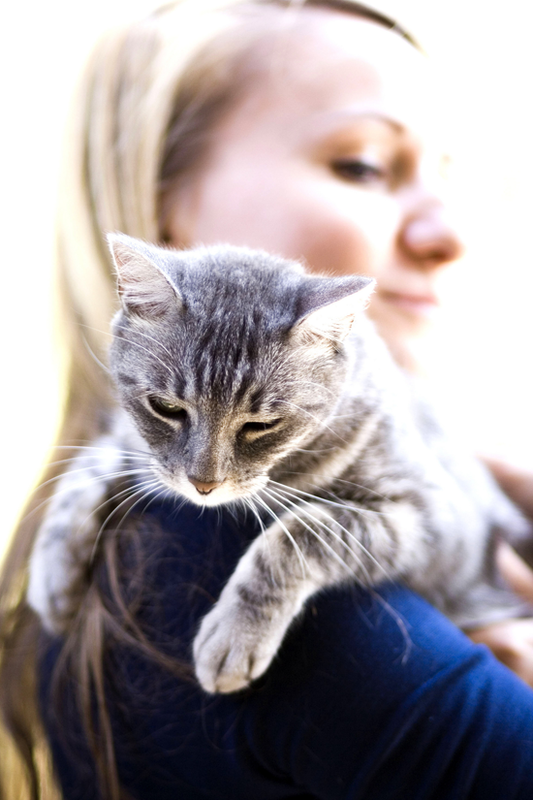 We've given dogs their day, but now it's time give a shout out to another pet that puts the meow in our lives. 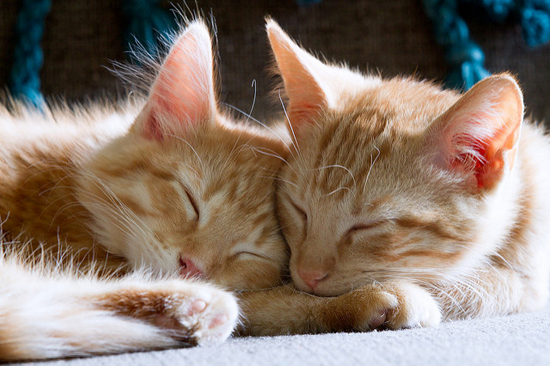 Though cats can be finicky, it's their loving snuggles that win our hearts. That last cat makes me laugh! Pretty indicative of cats, right? My Favorite Things has some fun feline products that will warm your heart. 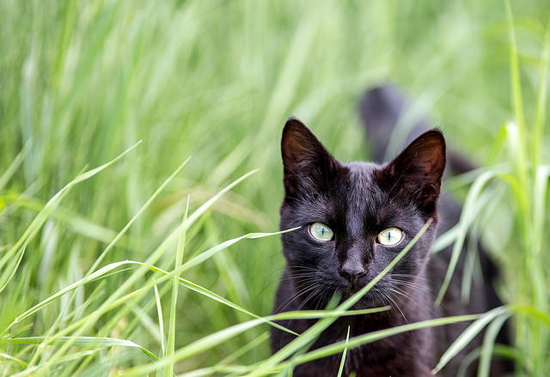 Let's take a look at some awesome projects that will inspire you to create cute kitty cat designs! 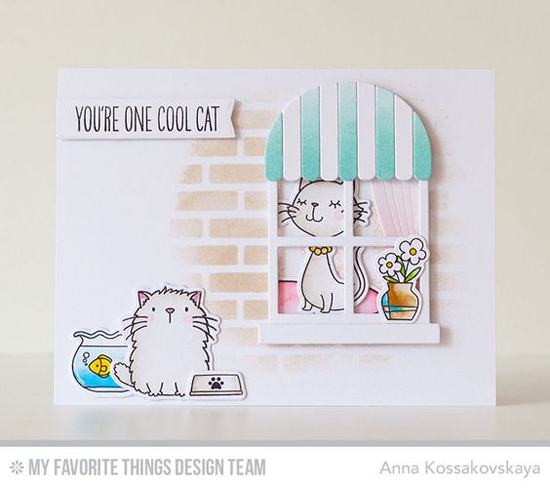 Anna features several images from the Cool Cat stamp set in a street scene featuring the Boutique Window and Brick Wall Cover-Up Die-namics. What a sweet scene she has created! Donna created a cute background featuring the Cat-itude stamp set with colorful cats and their delicious snacks. What a fun birthday greeting! 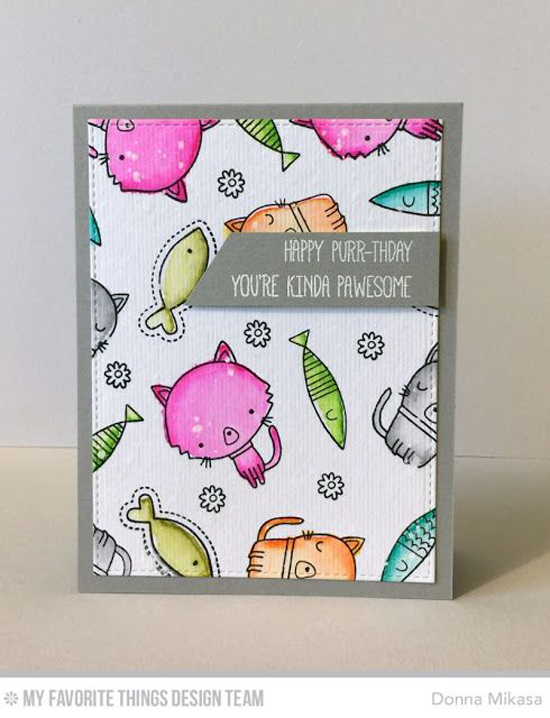 The sweet Feline Better stamp set is featured on Jodi's card. I'm quite enamored with the cute balls of yarn she's stamped on the background and the repeated sentiment on the horizontal strip. 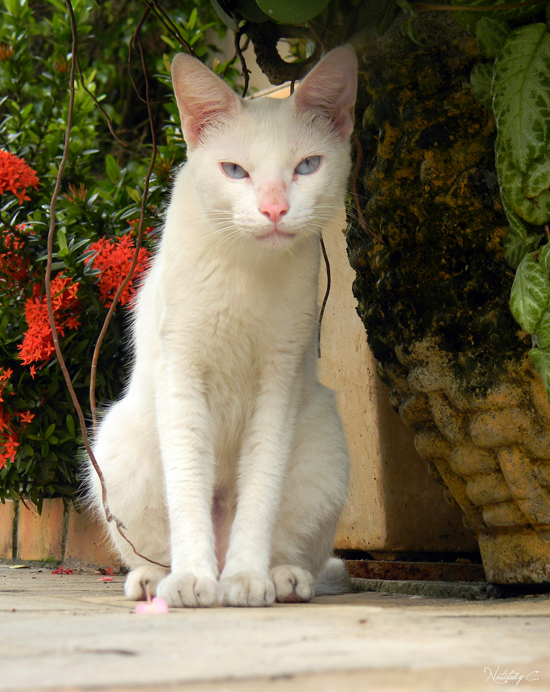 And the coloring of that sweet little kitten is delightful. Melania used the main frame of Blueprints 27 to feature several cute kitties from the I Knead You stamp set. Such a clever conglomeration of furry fun! 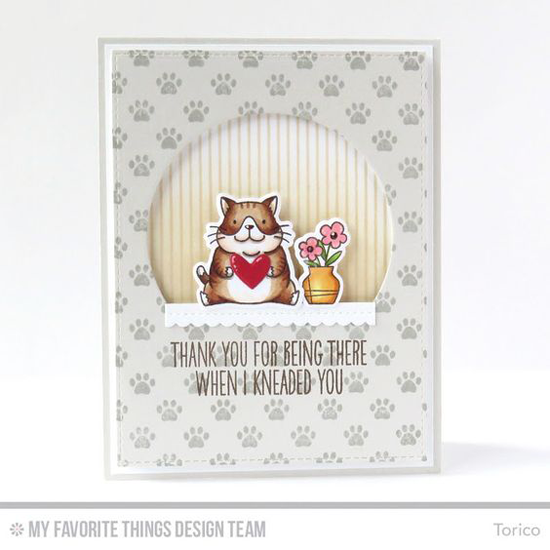 Torico sets a scene for my favorite pudgy feline from the Cool Cat stamp set (isn't he the CUTEST?). The Paw Print Background stamp creates the perfect backdrop for this charming thank you card. 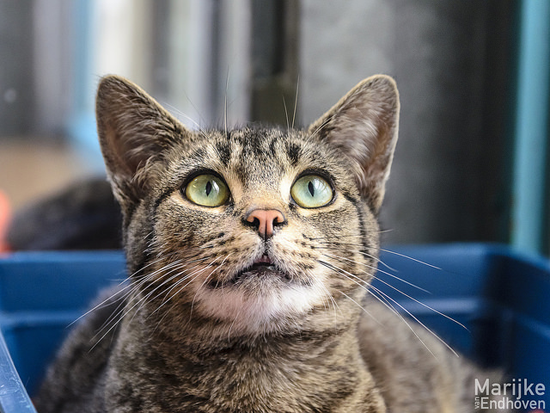 Before you go, take a look at a few of the cute cat things you can buy at the My Favorite Things online store! Simply click on the photo to be taken directly to the product. If the product is currently out of stock, you can sign up for an email notification once it's back in stock!